Will Libraries Stop Amazon Dominating Ebooks? Enter your email address here and you'll get an email telling you when I post something new. Posted: March 28, 2015 in enthusing! Dirk Dynamo is enjoying a life of learning with the gentlemen adventurers of the Epiphany Club. Joining an expedition to find the Great Library of Alexandria, Dirk finds himself on the island of Hakon, where colonial life is not what it seems. With monsters in the jungle, conspiracies in the mansion and ninjas dogging his trail, can Dirk and his friends find the first clue to the Library before they meet a deadly fate? 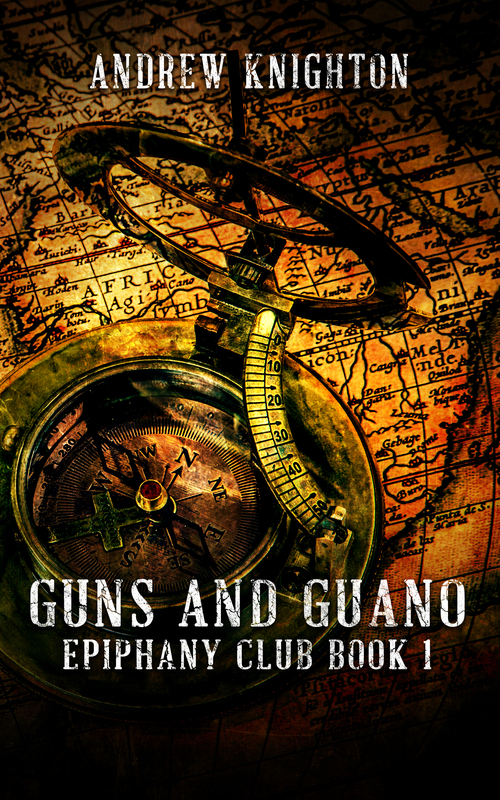 The first in my series of Epiphany Club novellas, Guns and Guano, will be up on Amazon by the end of March. A tale of action, adventure and ingenuity, it’s the start of a series of five novellas featuring adventurer Dirk Dynamo and aristocratic inventor Sir Timothy Blaze-Simms, heroes of some of my previous short stories. I’m really excited and proud to be putting this out there. 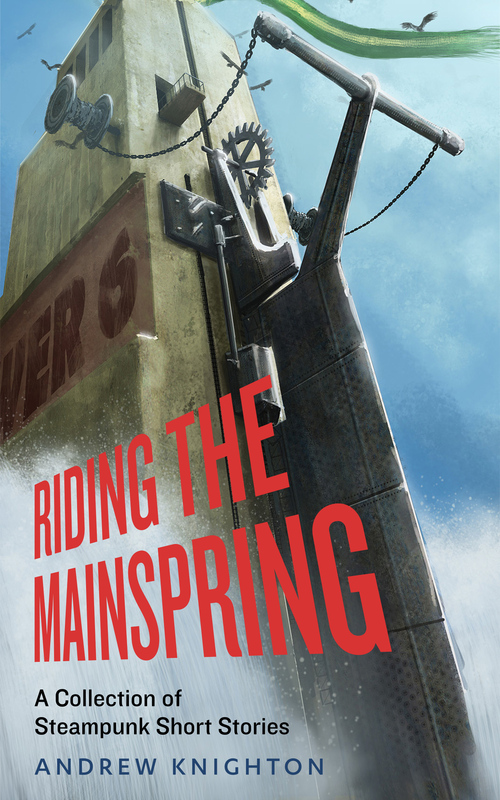 You can read a couple of Dirk and Blaze-Simms’s earlier adventures in my steampunk collection Riding the Mainspring, available free to anyone signing up to my mailing list. And keep an eye on this blog for more news of the new release. Very excited I tell you! A knight so stupid he might just win. A prisoner haunted by ghosts, or are they shadows? A demon investigating an angel’s death. Action, art and mystery all feature in my fantasy short story collection, By Sword, Stave or Stylus, out today as an ebook today via Amazon and Smashwords. Live By the Sword – art and magic combine in a fantasy version of the Roman arena. Leprosaria – a knight and his chronicler uncover strange goings on in a leper hospital. Long Nights in Languedoc – something monstrous pursues an English army through medieval France. The Essence of a Man – the magical power of art is tested under siege. Shadows, Stones and Hungry Ghosts – a prisoner faces a haunting interrogation. The Wizard’s Stairs – a young man, an angry wizard and a test of love. Striking Black Silence – a ninja becomes the shadows on a deadly mission. The Edge of the World – a lowly gutter dweller carries a vital message across a strange rooftop world. The Hunter in the Stacks – a scholar takes up his spear and goes hunting knowledge. The Suspicions of Shadowvalt – a demonic whodunnit. The Faces of the Fallen – Detective Shadowvalt returns to investigate a murder in Hell. The Magpie Dance – a group of morris dancers are more than they seem. One Minute of Beauty – art, revolution, absinthe and a visionary moment. It’s an eclectic selection of stories, and one I’m proud of. So if you’re looking for some reading why not go pick up a copy from Amazon or Smashwords. It’s only 99c for the first two weeks of release, after which I’ll be putting up the price to a princely $2.99. And later in the week, once I’ve stopped reeling from the excitement/nerves of hitting the magic ‘publish’ button, I’ll discuss some of the stories in more detail. Yes, that’s right, my state of high excitement can mean only one thing – I have another book cover. On 13 October I’ll be releasing my next collection of short stories, this time a fantasy anthology titled By Sword, Stave or Stylus. As always, preparing to hit the publish button fills me with a mixture of excitement and tension. But I’ll battle down the nervous twitches and post more details as I get closer to release. Big thanks to John Moley for the title – John, a copy of the e-book will be heading your way as soon as it’s ready. 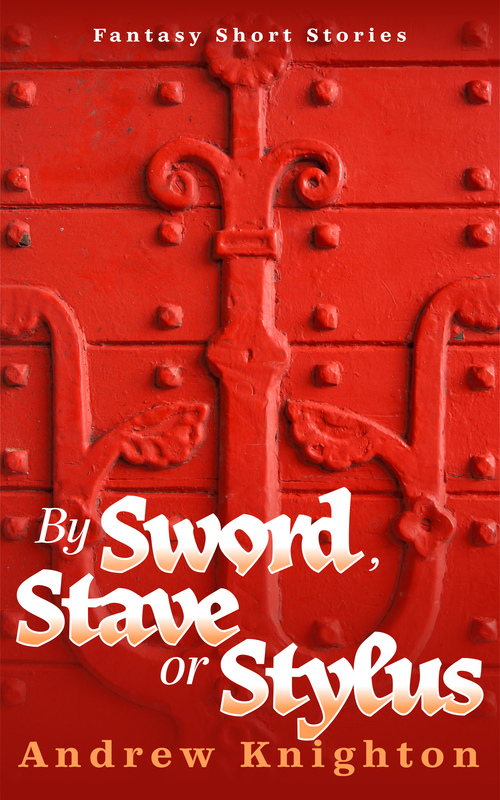 By Sword, Stave or Stylus is now available for pre-order on both Amazon and Smashwords. My new short story collection, From a Foreign Shore, is out today. Containing five short stories set in the past, or an alternate past, or something vaguely related to the past, it includes Arthurian knights, Vikings, surly peasants and a statue found guilty of homicide – man, those medieval folks sure knew how to do law. This collection dips into my fascination with history and with twisting that history around. It features real historic incidents as well as stuff I’ve just made up, and the characters range from the historical to the mythological to the clearly invented. From a Foreign Shore is available on Kindle through Amazon and in all other formats via Smashwords, all for less than a pound/dollar/euro/other currency without too many zeroes, so please go check it out. 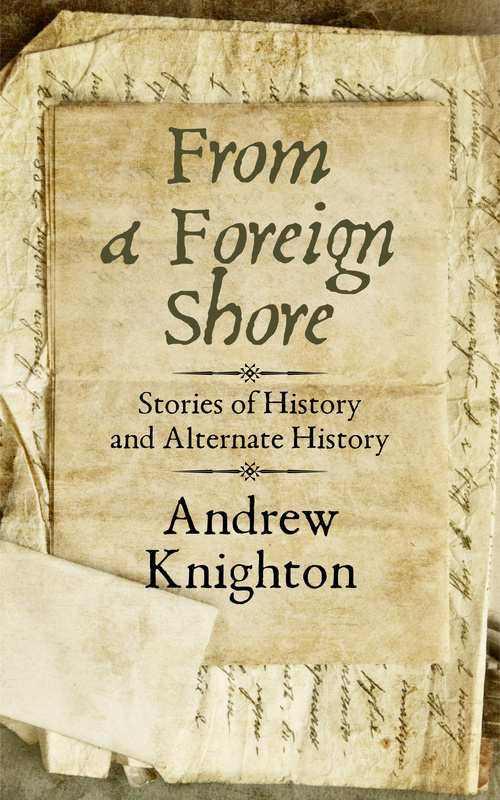 The free copy of From a Foreign Shore that I offered for reviewing my previous books goes to Dylan Hearn, who not only left me an Amazon review but wrote a whole blog post about how much he enjoyed my book – thanks Dylan, your book will be in the email shortly. On a completely unrelated note, I attended Fantasy Con in York over the weekend. I had a great time and have a lot of notes from panels and other events, which I’ll write up and post here over the next month. So stay tuned for authorial insights on sword fighting, publicising your work, politics in sf+f and how to sound like a radio using only a pint glass. A steam-powered cowboy with a taste for death. A daring art heist in a moving city. A zeppelin flight through the smoke-filled skies of a Europe torn apart by volcanoes. This collection brings together nine stories of mechanical adventure from worlds where pistons and clockwork are king. Like any author, I want my books to be as accessible as possible to as many people as possible. And so Riding the Mainspring, my collection of steampunk short stories, is out now on all sorts of formats via Smashwords. I’ll be adding Mud and Brass there tomorrow, so that both books are available to those of you who use epub or other non-Amazon formats. From Smashwords they’ll filter out to other stores over the next few weeks. As with the Kindle release, one of the best ways for my books to gain readers is through reviews. So whatever format you buy the book in please leave a review in the appropriate online store. And if you include a link to the review in the comments to the original book release blog post then I’ll include you in a draw to win a free copy of my next release, coming soon to all your different e-reading platforms. I hope that you enjoy the book, and if you do please let me know. A steam-powered cowboy with a taste for death. A daring art heist in a moving city. A zeppelin flight through the smoke-filled skies of a Europe torn apart by volcanoes. No, these are not just random words that I’ve thrown together to fill my blog. They are among the many exciting stories featured in my new collection, Riding the Mainspring, out now on all your different Amazons, including Amazon.com for those of you living in Mickey Mouse country and Amazon.co.uk for those of us who shop using pictures of a lady in a crown. This collection brings together nine stories of mechanical endeavour and daring do from worlds where pistons and clockwork are king. Each short story explores a different steampunk possibility, from the Wild West to the sewers below Venice. Starring scientists, detectives, criminals, and more machines than you can shake a pair of brass goggles at. And if you’re looking for something a little smaller, my brand new short story Mud and Brass is also available as an Amazon e-book for only 99c – again available on all Amazon sites including your Yankee website and our tiny island nation version. It’s a story of mud, mechanisms and romance in a steampunk city. If you read these stories then please let me know what you think. And better yet, please leave a review on the relevant Amazon site, as that’s hugely useful for me. These are just the first in a series of short story releases I’m planning over the next few months. If you’d like to win a free copy of the next release then please leave a review of one or both of these steampunk books on Amazon and paste a link to the review in the comments below. Anyone who leaves a link to their review by the end of August will go into a draw to receive a free copy of the next collection. And for those of you who don’t use Amazon, fear not. I’ll also be releasing these e-books on other platforms soon – keep an eye out here or join my mailing list to find out when that happens. I hope you enjoy the stories and look forward to reading your opinions. That, dear readers, is my first ever book cover. It’s still going to take me a few days to finish formatting the book and get it out to e-book retailers, but once that’s done I’ll let you know. 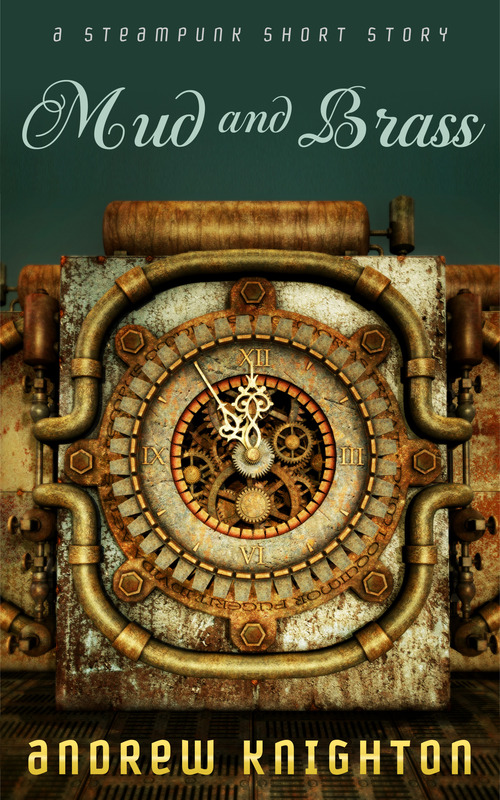 I’ll also be releasing a previously unreleased steampunk story as a stand-alone short for 99c, and sending that out free to people on my mailing list. That’s my story release mailing list which you can sign up for here or at the top of my blog, not the email alerts when I put a blog post up. So if you’d like to get a free copy of Mud and Brass, a story of love, mudlarks and mechanical ingenuity, then please go sign up for the list. More on the book to come – very excited!